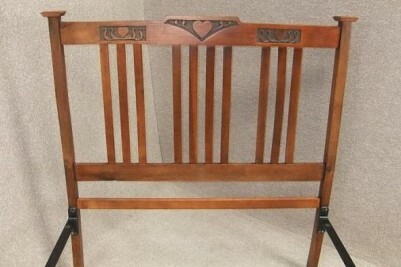 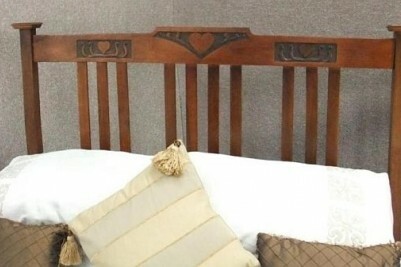 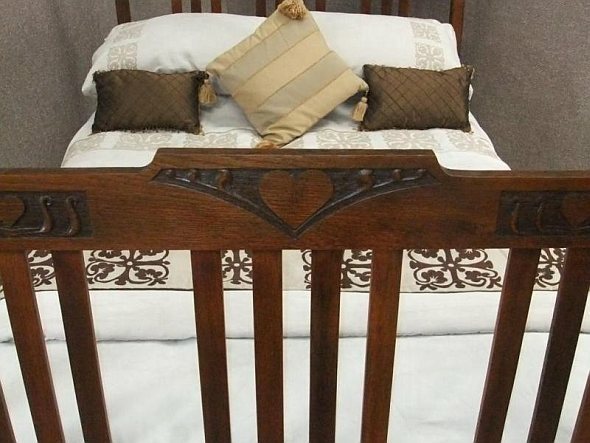 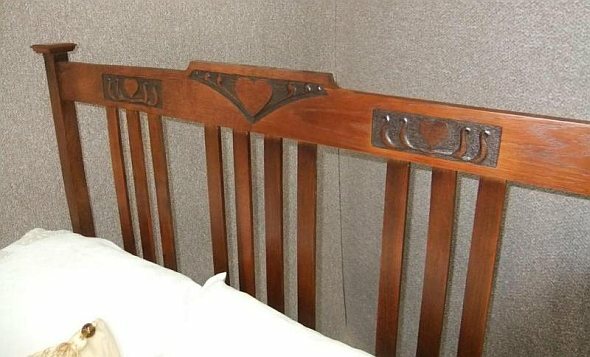 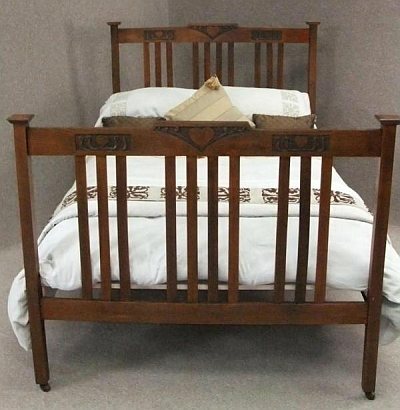 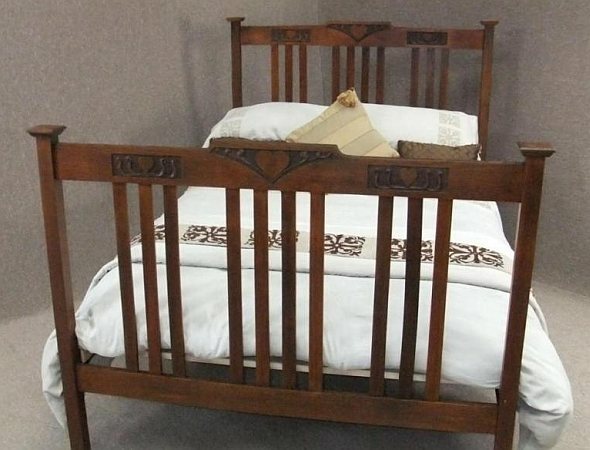 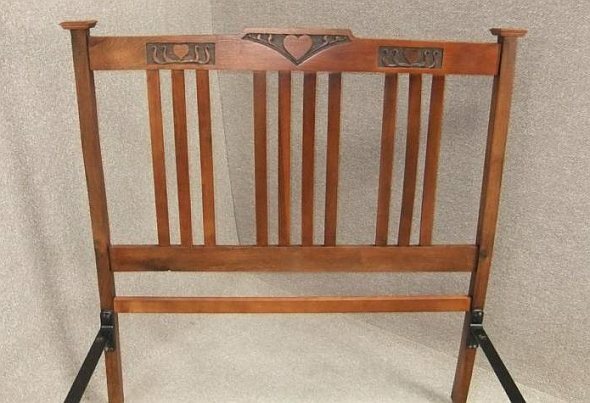 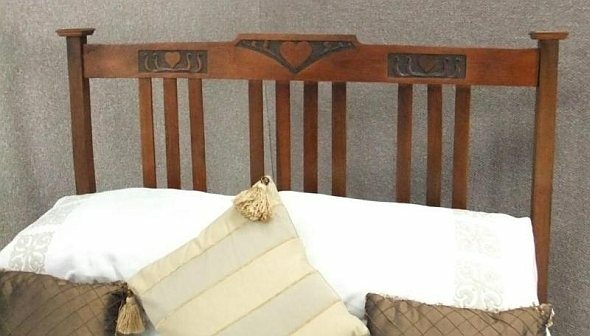 A beautiful, circa 1900, arts & crafts double bed, with a beautifully carved headboard which is a mirror image of the footboard. 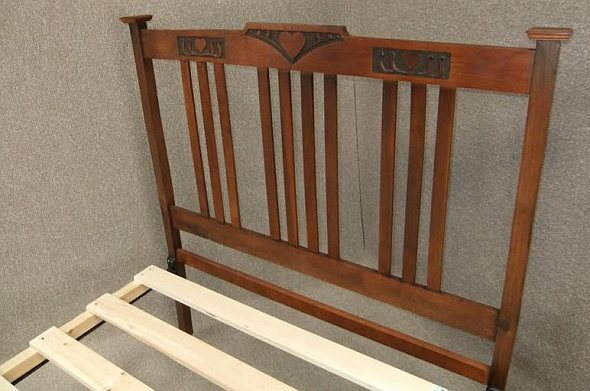 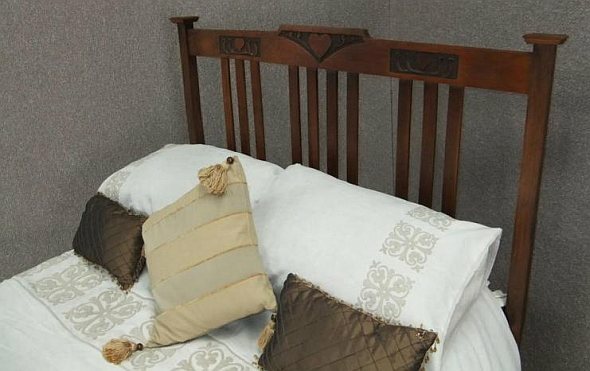 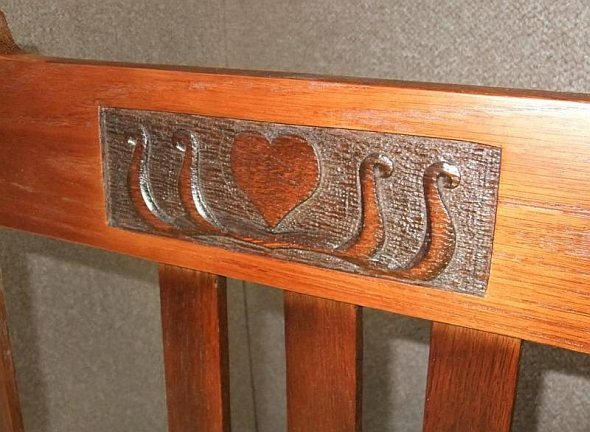 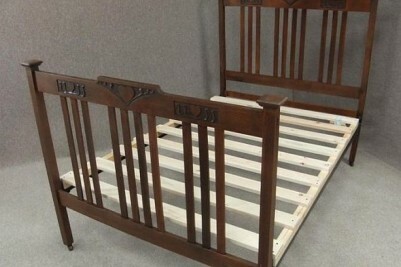 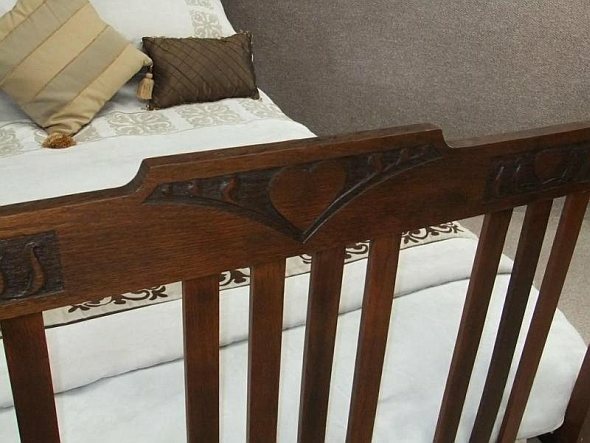 The bed is in lovely condition for its age circa, and comes complete with robust side irons, which will support one of our newly made slatted wooden bed bases. 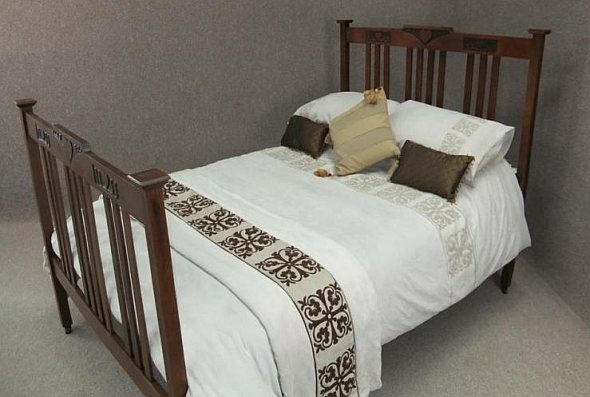 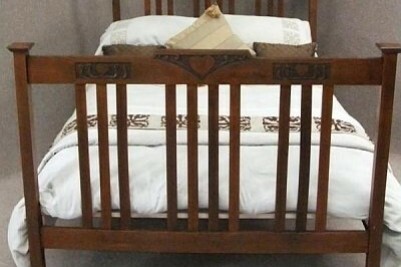 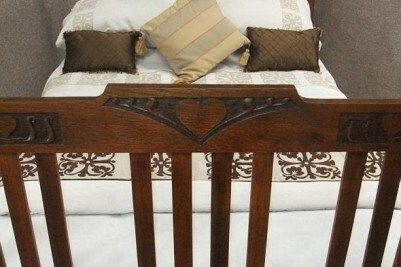 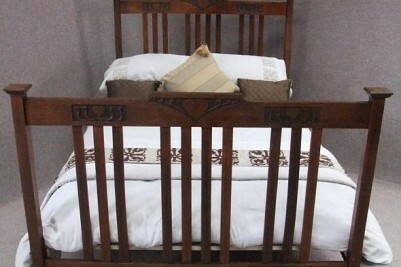 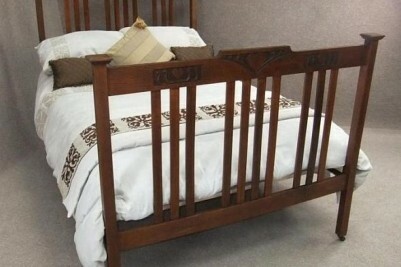 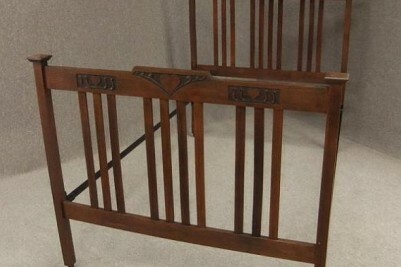 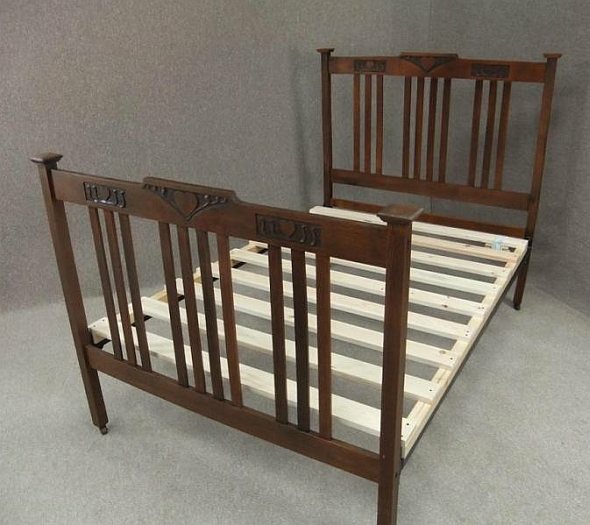 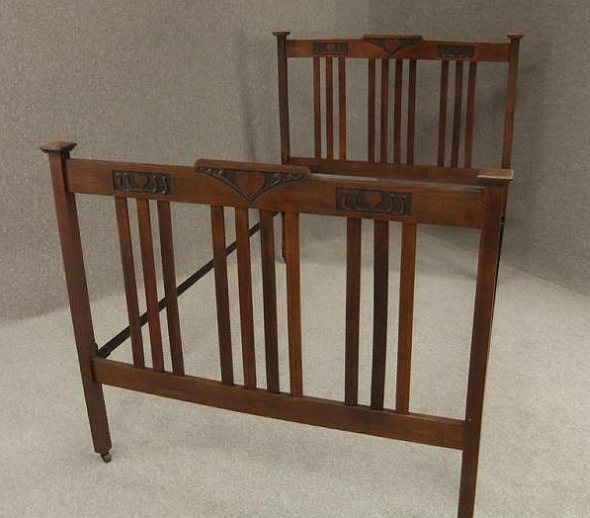 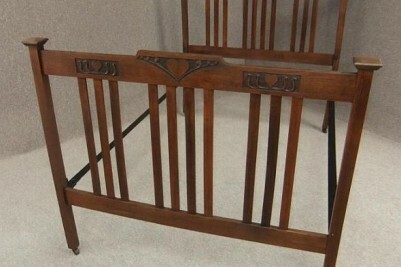 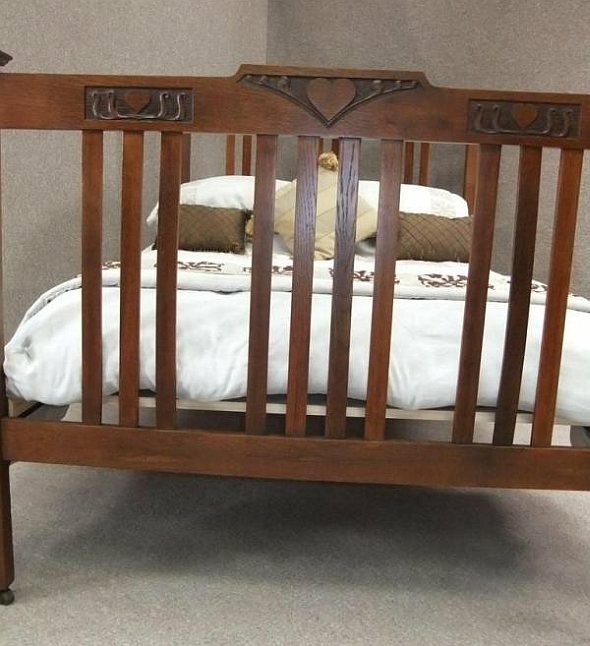 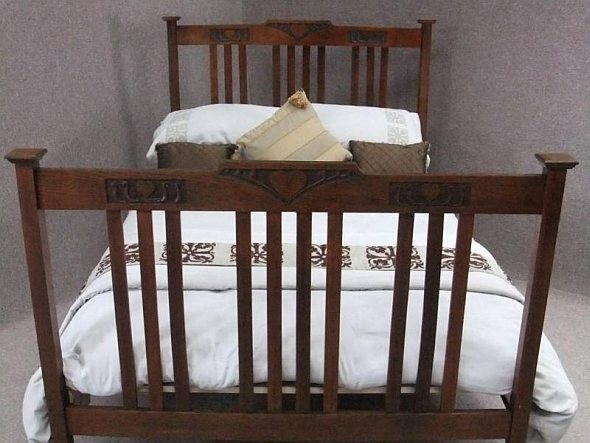 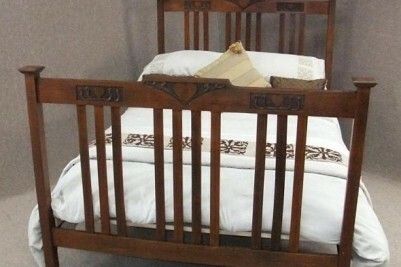 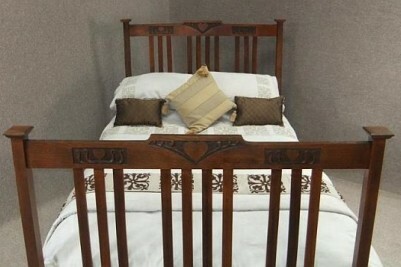 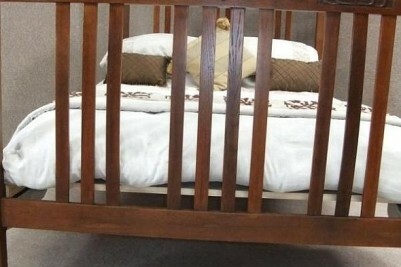 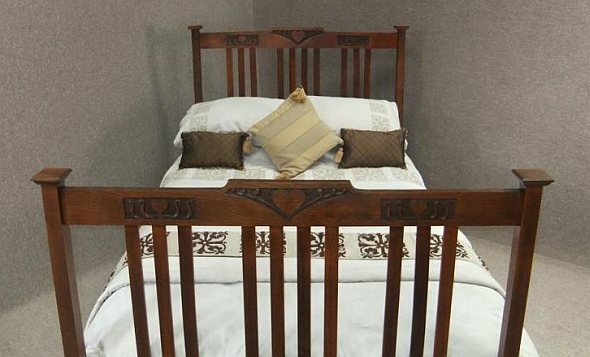 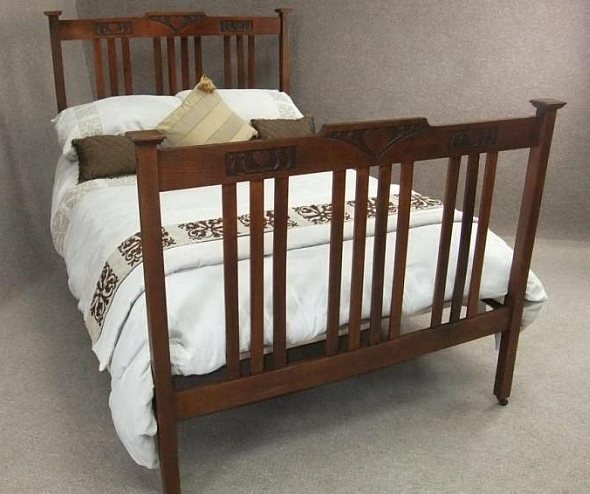 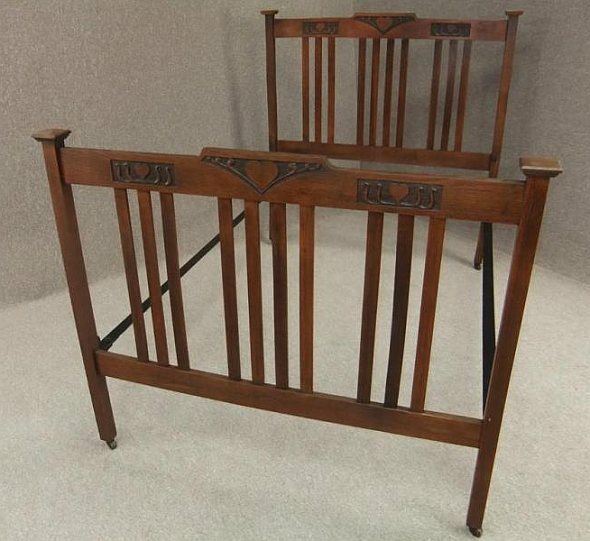 A beautiful double bed; ideal for any period property.